Whitten Timber in Peckham is the current base for the Whitten family business. Starting in 1919, first from barrows and later shops in Sumner Road, they later moved to a timber yard on the Peckham branch of the canal in Canal Head (now Peckham Square) and then Eagle Wharf. Timber from the Baltic, Scandinavia and around the world is still sold there today. Floating timber at Peckham’s Canal Head. Look closely and see the floating plank in the shape of an arrow with Whitten Timber on it. Follow the arrow and that is where the new Whitten’s stands today at Eagle Wharf. Whitten Timber is a family run business and is one of the longest serving timber traders in Peckham. Whittens (as it is known) was originally founded by Mr Whitten Senior on Sumner Road in 1919, operating from barrows and later shops and initially selling firewood collected from the vast numbers of empty wooden ammunition boxes that came back from the First World War. The business was soon selling softwoods which arrived in horse drawn Thames barges along the canal towpaths from the Surrey Docks at Rotherhithe, where the timber had been shipped from around the world. One of Mr. Whitten’s two sons, William – known as WH – took over in 1933. WH went mobile, using a man-pulled track cart to make deliveries around south London to help enable the company to expand. By 1935, WH Whittens was registered as a limited company trading from Canal Head warehouse – now the site of Peckham Pulse leisure centre. The Whittens have always been an inventive family and WH devised a bicycle powered cutting saw, by replacing the back wheel with a belt drive attached to a circular saw. The invention allowed timber to be sawed quickly and production duly increased. During the Second World War, WH was discharged after being injured at Normandy, returning home to a blitzed Peckham. By the end of the 1950s, WH had expanded the business again, obtaining Footbridge Wharf along the Grand Surrey Canal (now known as the Bridge to Nowhere in Burgess Park). WH had three sons, and Robert joined his father’s business in 1959. 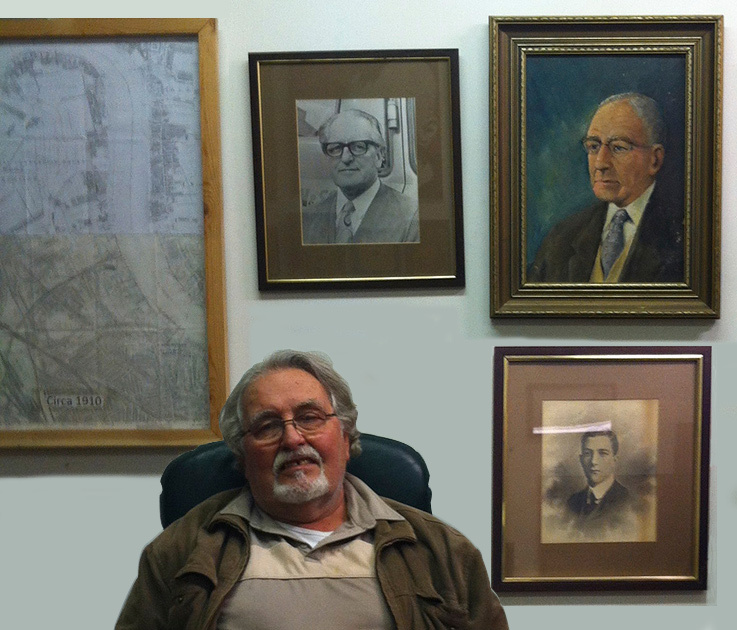 Robert Whitten with his Whitten ancestors. 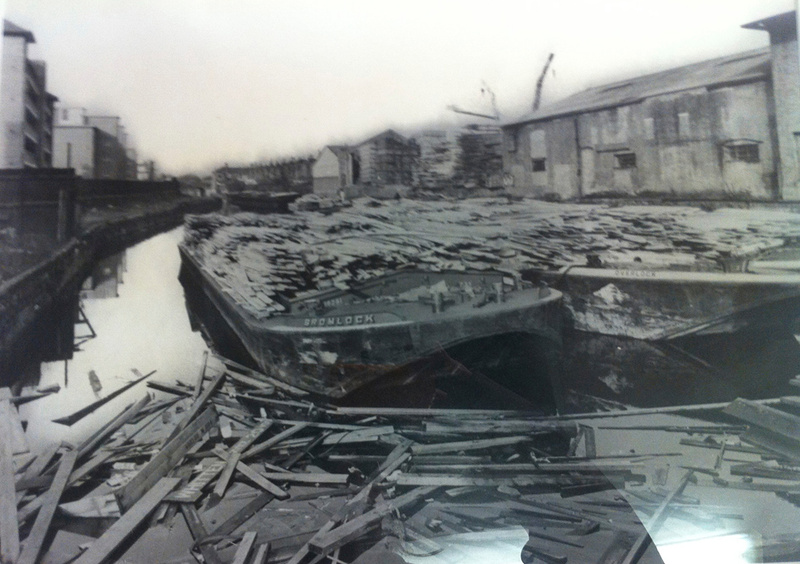 Despite the canal’s closure, Whittens continued to thrive commercially, helped by the expanding DIY market. In 1980, business moved again to a nearby retail warehouse in Eagle Wharf, and Whitten’s final move in 1982 was next door to their current Eagle Wharf warehouse. Today Whitten Timber is run by Robert’s two sons John and James – the fourth generation. However if you pop in you’ll see that Robert is never too far from the sales counter! Hi there, some facts not quite right here. The present building was erected much later than 1982 – it is on the same site but smaller. I’ve used Whittens since 1985 and they were still in the old building. Till at least 1997? When they were moving and had the new place built we used it for a Rollapalluza event! They are the best and maybe only dedicated timber merchant for miles! With extensive knowledge.